THE Government has warned people against buying and using prescribed drugs and other pharmaceutical items that were looted when pharmacies were broken into during the violent stay away recently, saying they should go to authorised dealers. The Government also said it was making sure that those that looted were brought to book. A number of pharmacies were broken into and looted during the skirmishes that ensued recently, resulting in unwarranted destruction of infrastructure. In an interview with Sunday News, the Acting Permanent Secretary in the Ministry of Health and Child Care, Dr Gibson Mhlanga, urged members of the public to avoid buying and taking drugs without being prescribed by health practitioners even if they were cheap. “People should desist from self prescribing. They are looters on the prowl. Neither should they buy from people who are selling drugs on the streets because they have no medical supervision or license to sell drugs,” he said. Dr Mhlanga said the ministry does not know yet in terms of quantities and types medicines or drugs people got access to during the time of looting. “However, as we know medical drugs can be very dangerous if they are not used appropriately, it will be unwise for someone to buy or take drugs without being prescribed by a qualified health practitioner so it is quite dangerous if people are to buy and take the looted pharmaceutical items,” said Dr Mhlanga. He emphasised that even the common antibiotics could be very dangerous if not used properly. “If it is antibiotics the body can resist them in future because they would have not been used in the manner that they are supposed to be used. So there can be issues of overdosing and inappropriate use of drugs for a particular condition just because the drugs are supposed to be prescribed by medical professionals like doctors and nurses,” he said. 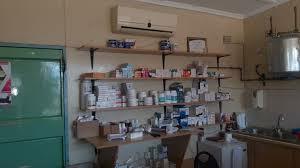 The immediate past president of the Pharmaceutical Society of Zimbabwe, Mr Sikhumbuzo Mpofu, was at pains to express his shock at the looting of essential places like pharmacies. “In my 20 year career I have never seen people looting pharmacies during protests, these are places that are considered vital but when protesters attack these places then there is a problem,” he said. Mr Mpofu noted that the communities suffer the most. “If you look at the areas that were looted it is in the western side of Bulawayo and those communities need to make use of pharmacies nearest to them but now that they vandalised them how will they access drugs?